NATO Secretary General Jens Stoltenberg said Thursday that there had been a "troubling escalation" in Russia’s military activity in Syria, after Moscow expanded its aerial campaign in the Middle Eastern country. Stoltenberg’s comments came as Russia’s defense ministry said that missiles fired from four of its warships in the Caspian Sea had struck infrastructure sites of the Islamic State group, also known as ISIS. Moscow beefed up its military presence in Syria Wednesday by launching a series of cruise missile attacks, in its first combined air-and-ground assault with Syrian government troops since its military campaign last week. "In Syria, we have seen a troubling escalation of Russian military activities. We will assess the latest developments and their implications for the security of the alliance," Stoltenberg said, according to Agence France-Presse. "This is particularly relevant in view of the recent violations of NATO's airspace by Russian aircraft." 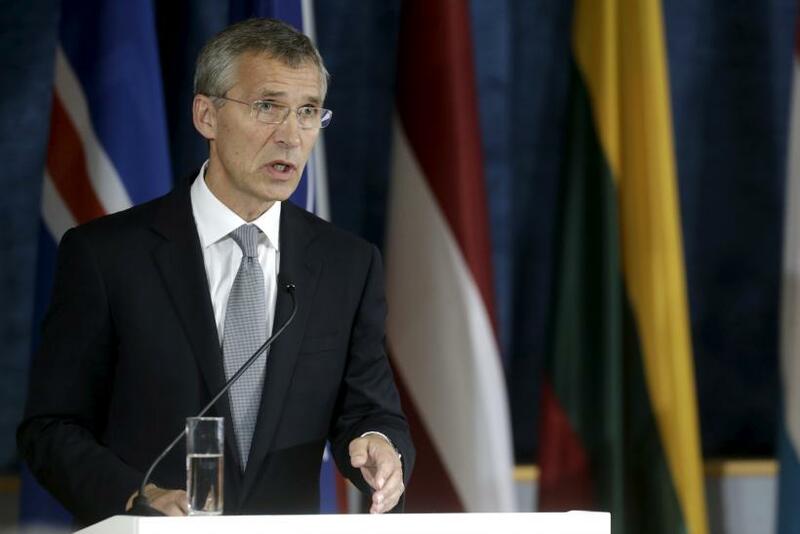 "NATO is ready and able to defend all allies, including Turkey against any threats," Stoltenberg told reporters Thursday, before a meeting of NATO defense ministers in Brussels, according to Reuters. "NATO has already responded by increasing our capacity, our ability, our preparedness to deploy forces including to the south, including in Turkey." On Monday, NATO warned Russia about entering the airspace of any of its member states in the future, after Turkish authorities claimed that Russian jets were accused of violating Turkey’s airspace twice over the weekend. The incident occurred a week after Russian jets began bombing Syrian rebel and ISIS targets near the city of Homs. U.S. and European officials believe that Russia’s military presence in Syria is aimed at keeping long-term Russian ally President Bashar Assad in power, and not at fighting extremist groups like ISIS.